12 teams signed up! Team Bracket has been increased to 16! So here is the dealio I and a few others are hosting a tournament! A few days ago I went onto the reddit and stated I would most likely be hosting a tournament after the upcoming 6v6 hosted by Height and friends. I gave a few ideas that I’ve had, and asked others for their input! 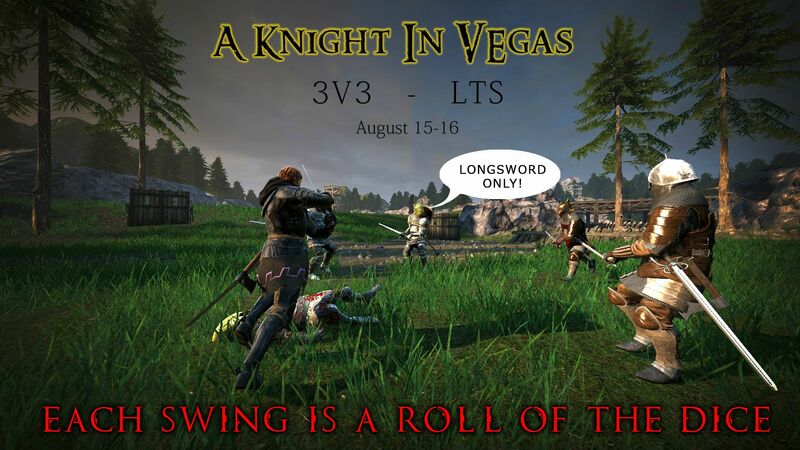 After I went around and talked to some clans about what they would have a lot of fun doing it seemed like I got a lot of positive feed back for a Lts 3v3 Longsword Tournament. There will be a map pool, not all matches will take place on Moor! Any three people can sign up! You don’t have to be in a clan! TOURNAMENT will take place on the 15th and 16th of August, sign ups end 8th of August. If any player disobeys these rules in the middle of the game he will be warned once, if said player continues his team and him will be dqd from the tournament. -Please post you and your team below. This includes team name. You may also list one merc if one of your players cannot play or doesn’t show up. -Please post a link to your captains steam account so we can get in contact with them. -First come first serve, First 12 teams to sign up will be granted access. -Clans may have two teams at maximum from the same clan. This rule will only take effect when a team has majority clan members in their roster. e.g A team with two Tempest Members and one none Tempest member will count as a T****empest team. But a team with one Tempest member and two none Tempest members will not count as aTempest team. This rule is in place to keep the teams and match ups diverse. This rule applies to every team, not just Tempest! It’s more than likely that we will not have a lot of streamers, if you are interested in streaming I would also ask that you find a second person to stream with and help referee the match. -To Sign up for streaming either message me on steam or post below. -Do not abuse your power, you will be asked to maintain the rules of the game and respect each player equally. -If any individual is caught hacking or exploiting; this includes ghosting will be banned from the tournament immediately, and their team will be dqd. All maps will be chosen by the referee or streamer of your match, if a player has performance issues on a map he may request a different one be played. I think I covered most things, I will update the bracket here once I have teams sign up! This seems pretty interesting. I’ll be back with a team. People seriously need to get a torn banner forums account.